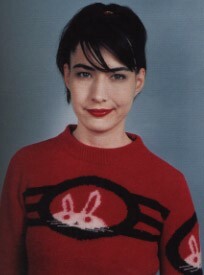 The Riot Grrrl Manifesto was penned by Kathleen Hanna for 1991's "Bikini Kill Zine 2." Although the term riot grrrl had already been coined by Alison Wolfe, of Bratmobile fame, this manifesto added energy to the burgeoning movement. It's reprinted here for your perusal and pleasure. Return to Enjoy Your Style's books on style page.